State regulators have temporarily closed a medical marijuana dispensary in Acton after inspectors found dangerous violations related to security, sanitation, waste disposal, and product labeling, officials said Friday. After an unannounced inspection, the Massachusetts Cannabis Control Commission on Thursday ordered Mass Wellspring to stop producing, growing, processing, and selling marijuana. The violations posed an “immediate or serious threat to the public health, safety, and welfare,” a commission spokeswoman said. The commission has not recalled any products as it continues to investigate the dispensary. ■ Unsecured marijuana and marijuana products in a non-approved laboratory area and patient consultation area. ■ Illegible and incomplete labels lacking required information about product origin and whether the product had been tested for pesticides. ■ Insufficient perimeter security alarm coverage, including a rear exit door without a security alarm. The commission’s cease-and-desist order will remain in effect until the commission issues a final decision. Regulators could suspend or revoke the dispensary’s license or discipline it in other ways. To regain compliance, the dispensary must show it has fixed the problems, officials said. Mass Wellspring sought priority status last spring to apply for a recreational cannabis license, but Acton residents voted to ban recreational retail stores in the town. Acton town officials were notified of the incident, a spokesman said, but had no further comment. This was the latest action by state regulators, who are responsible for scrutinizing the state’s new industry. Last month, the commission launched an investigation into MCR Labs in Framingham , after police reported the lab had thrown away hundreds of vials of “usable” marijuana in an unlocked dumpster. That ran counter to proper disposal procedures, police said, which call for rendering the product unusable. The lab promised to fix the problem. 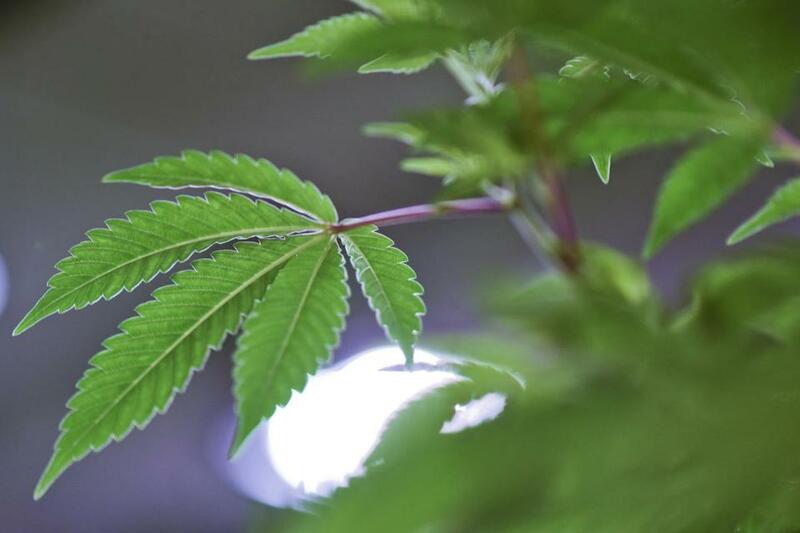 In December, the Department of Public Health ordered Triple M to temporarily cease selling marijuana at its dispensaries in Mashpee and Plymouth over concerns about pesticide use. That came a few months after regulators found similar pesticide issues and ordered a temporary shutdown at Good Chemistry, which operates a growing and processing facility in Bellingham and a dispensary in Worcester. Both Triple M and Good Chemistry said they had only used natural compounds such as pyrethrins, a class of insect-repelling chemicals derived from chrysanthemum flowers. Also in December, health inspectors ordered a temporary closing of Apothca, which runs medical marijuana dispensaries in Arlington and Lynn, ordering the firm to stop selling certain products infused with CBD, a minimally psychoactive compound that can be derived from cannabis. Frequently used to treat seizure disorders and other conditions, CBD is widely available at health stores and even gas station counters — but because licensed medical dispensaries can only sell products from the regulated supply chain, regulators ordered Apothca to stop selling CBD supplements it had obtained elsewhere. Apothca said the products were sourced from legally grown hemp and lab-tested in Massachusetts, but agreed to stop selling them. Patients can find alternative dispensary locations at here and can contact the commission at 617-701-8400 and CannabisCommission@State.MA.US. Dan Adams of the Globe staff contributed to this report. Naomi Martin can be reached at naomi.martin@globe.com. Follow her on Twitter at @NaomiMartin.